W&L Announces November Community Grants The Community Grants Committee has made 16 grants totaling $30,036 to local area non-profit organizations. 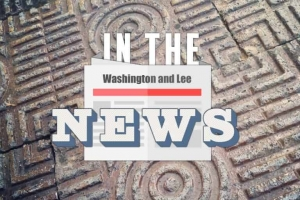 Washington and Lee University’s Community Grants Committee has made 16 grants totaling $30,036 to non-profit organizations in Lexington and Rockbridge County. They are the first of the university’s two rounds of grants for 2018-19. The committee chose the grants from 24 proposals requesting over $115,000. During its 2017-18 cycle, the Community Grants Committee awarded $50,000. Proposals may be submitted at any time, but they are reviewed only semiannually, at the end of the calendar year and at the end of the fiscal year. The submission deadline for the second round of evaluations for 2018-19 will be: by 4:30 p.m. on Friday, March 1, 2019. Interested parties may download the proposal guidelines at http://go.wlu.edu/communitygrants.